If you own a small business or are self employed, you may be looking for a convenient and cost effective storage option that allows quick accessibility to your equipment or inventory. Perhaps you have outgrown your home office and need additional storage space for files and supplies. Or maybe you need a centralized storage location that will allow you to provide efficient service to your clients. Leasing additional commercial office or warehouse space can be an expensive proposition. Michigan Office Movers offers economical commercial self storage options customized to your small business needs. 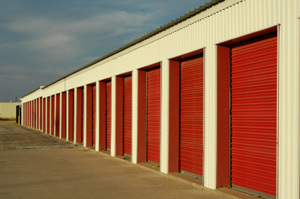 As a result, you can rest assured that your storage inventory is protected at all times. We provide you with both temporary and long term lease options to meet your business needs. This gives you the flexibility you need as a small business owner. If you find that you need additional space we can easily upgrade you to a larger unit. Similarly, if you find that the your space is too large to meet your needs, we provide you with a smaller, more cost effective unit. To find out more why numerous small businesses throughout Southern Michigan choose Michigan Office Movers’ commercial self storage services, please contact us by phone or fill in the form on the page.